Bumble & Bumble have launched their next generation of Bb.Thickening hair products. 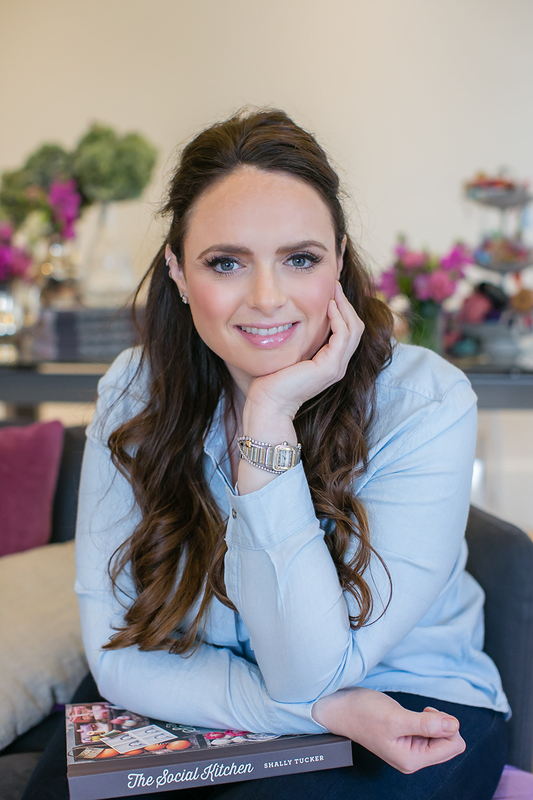 Their vision was to create a two-day event which showcased the new products and what better way to do this than in the Duck & Dry salons with some of the best hair stylists. 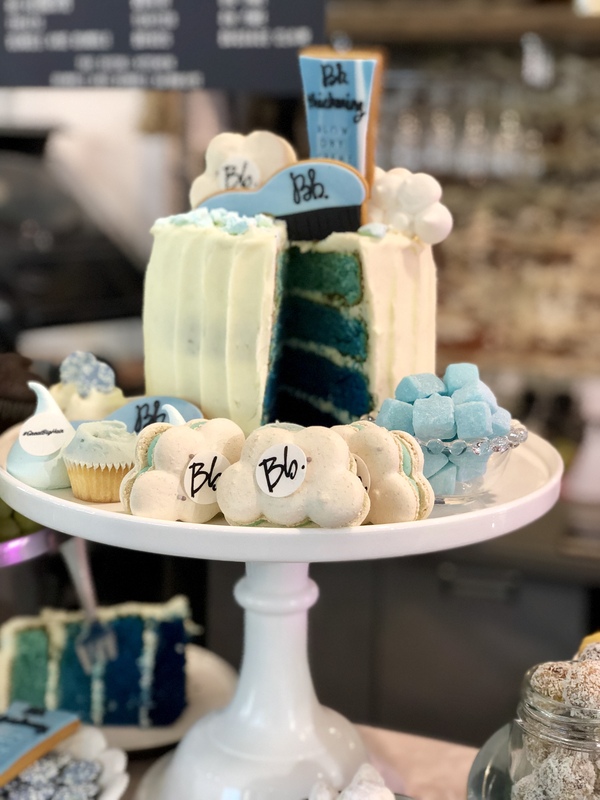 We worked with the Bumble & Bumble team to create a food display including items which matched their colourway of pastel blues and the theme of airways/ air travel. 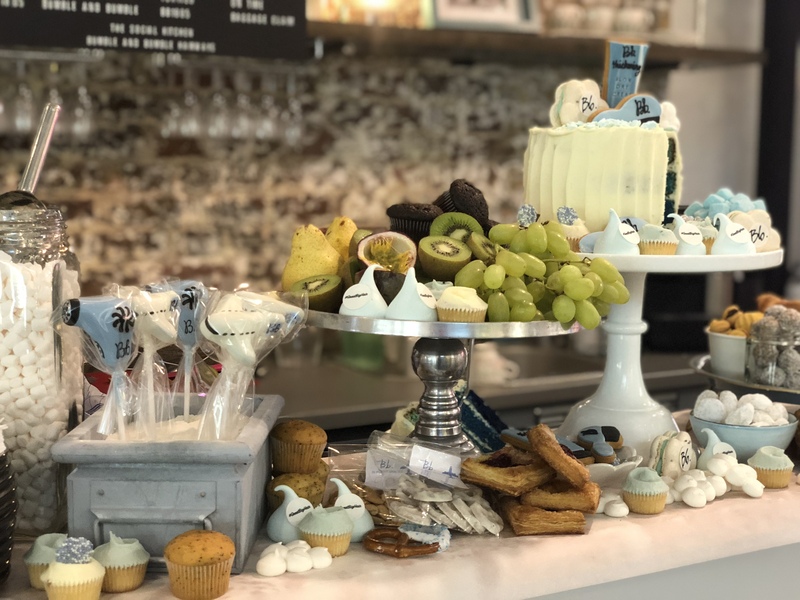 We added cloud shaped macaroons, pastel blue meringue kisses, branded biscuits and a show stopper blue ombre cake. We also brought the display to life with freshly cut fruits, pastries, homemade biscuits and tuck shop sweeties. These cake pops blew our minds! They were shaped into hair dryers, Bb’s Thickening products and aeroplanes. To top it off, they tasted just as good as they looked with a chewy brownie-like centre. The two-day event was put on for press and influencers to visit the Duck & Dry salon in Oxford Street and were treated to a bouncy, volumised wash and blow dry using the new Bb Thickening products. The event was a huge success and all the attendees loved the theme, the food and of course their newly transformed big and bouncy hairstyle. 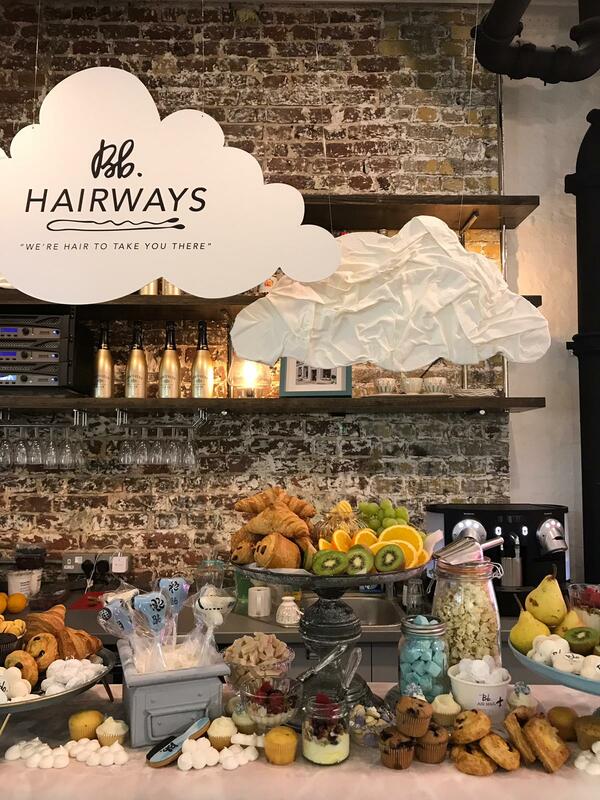 The influencers loved taking photos of their new hair and in front of the huge aeroplane image on one of the walls of the salon. 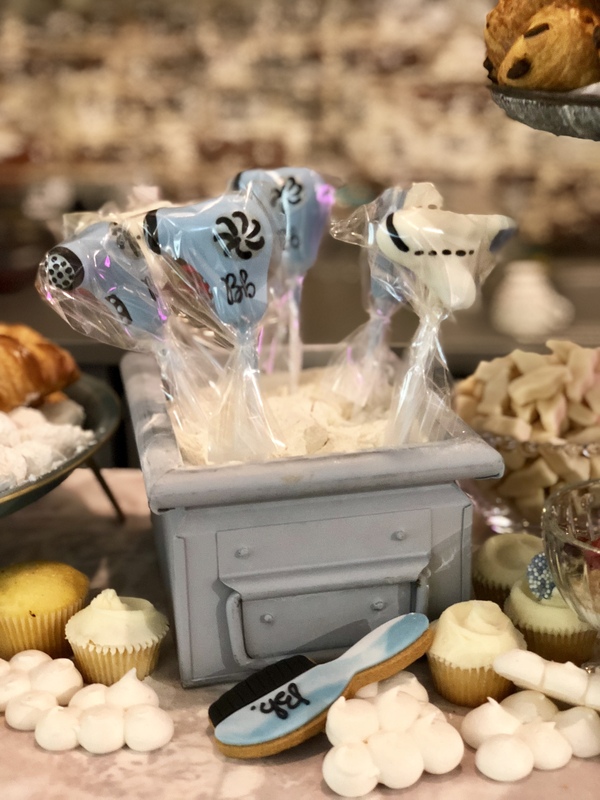 We also included in-flight snack bags which were filled with mixed nuts, bonbons and half dipped chocolate pretzels, these also flew off the bar and were the perfect take-home item.